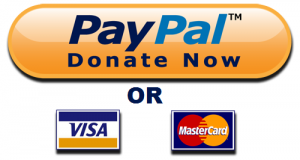 It began on January 6 with the assault of Bulgarian paratrooper Corporal Valentin Dimov. It has grown, as with such sagas before, to a renewed focus on Bulgaria’s Roma minority. 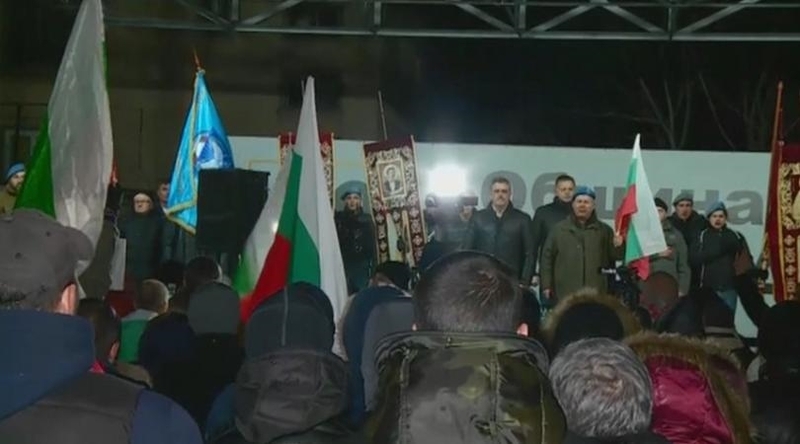 Along the way, with the aftermath of the Voyvodinovo incident not yet run its course, it has involved discriminatory speech, threats of violence, protests, and calls for the resignation of Bulgaria’s nationalist Deputy Prime Minister Krassimir Karakachanov. In the January 6 incident, the path of Dimov’s car was blocked by two men in the village of Voyvodinovo, about two kilometres east of Bulgaria’s second city Plovdiv. When he got out, he was seriously assaulted, leaving him in hospital for several days. That the men were of Roma ethnicity was, as it has been before, cause for mobilisation by Bulgarian nationalists. Ensuing days were to see protests in the village, notable for the presence of “football fans” – who customarily turn out for far-right and nationalist events – groups of hunters and even former and serving members of the military, some wearing uniforms or parts thereof, such as paratrooper corps berets. An organiser of the protests was a retired officer, a General Shivikov, who was among those who chose to don a beret. So did another participant, a former NCO, Todor Stankov, who was reported as saying on January 11: “Some important things about their integration needs to be done. They must stop living on the back of the Bulgarian citizen”. A protest in Voyvodinovo on January 11. Shivikov is the figure in the blue beret on the right. Screenshot via BNT. In a response not unprecedented with incidents in Bulgaria such as the one in Voyvodinovo, the thinly-disguised retaliation of authorities was to commence a campaign of the demolition of illegal housing of Roma people. Television footage in the following days showed brick houses reduced to rubble, sometimes with personal belongings visible among the debris. Roma people, in tears, complained of victimisation. Temperatures already had been elevated earlier in the saga when Karakachanov, Defence Minister in the coalition government and one of three co-leaders of the United Patriots – the minority partner in government – commented on the Voyvodinovo situation. Karakachanov visited the village on January 8, accompanied by – among others – Corporal Dimov’s officer commanding, Brigadier-General Yavor Mateev. “The paradox is that gypsies in Bulgaria already have become exceptionally impudent. Several days ago, they beat up a policeman, a couple of days ago they beat up a soldier. This cannot go on and the tolerance of Bulgarian society has run out,” Karakachanov said. The comment led an NGO, the Edinstvo (Unity) Association of Haskovo, to lodge a complaint against Karakachanov with Bulgaria’s Commission for the Protection against Discrimination. A petition was launched calling for the resignation of Karakachanov from the Cabinet. By January 14, it had gathered about 1100 signatures. In Voyvodinovo, the protests – in which, as noted, the majority of participants were dark-clad young men – continued, demanding the demolition of illegal Roma housing in the area, until after about 10 days they were suspended, with organisers saying that they would resume on January 24 unless the demolitions had been carried out by then. Amid the heated atmosphere, on January 13 there were attempts to get to the Roma area itself, though these were barred by the large numbers of police who were deployed. These were scenes reminiscent of others in the past decade when such tensions flared; at Katunitsa several years ago, in Assenovgrad more recently, in Rousse after the murder of television presenter Viktoria Marinova, for which a suspect of Roma ethnicity is facing trial. Ethnic tensions; chit-chat on television talk shows; dark-clad young men at the scene, ready to rumble. In Rousse in 2018, Roma men armed themselves, with axes among other things, as a convoy of motorcyclists arrived from Sofia. Armed police in body armour kept the peace. After some days, it blew over. Until Voyvodinovo, January 2019; and back to similar scenes, the dark-clad young men, the platitudes on the small screen, and beneath media stories and on social networks, hate speech against Roma. Karakachanov, who will lead his nationalist VMRO party into European Parliament elections in Bulgaria in May 2019 (whether or not as part of the United Patriots is unclear, given the faction fighting among the coalition’s leaders) was unrepentant about his publicly-stated stance. Speaking on January 14, Karakachanov told reporters that “the only way to fully integrate Roma is through education and work”. He said that there was nothing about which he felt the need to apologise. The event at which he was speaking was linked to the fact that the day is celebrated as Vassilitsa, commonly referred to as “gypsy New Year”. For the occasion, Karakachanov received Roma school pupils from the town of Zlataritsa, to whom he pointed as models of integration “through education and work”. Karakachanov said that he was submitting to the Cabinet a programme for the integration of Roma. (Bulgaria signed up to the Decade of Roma Integration in 2004; the government also has a programme for Roma integration, a topic on which it adopts reports annually. These reports tend to run to the self-congratulatory). He went on to say that all the organisations that had got money for Roma integration over the years should say what they had done with it and why there had been no effect. Karakachanov had picked up the theme of the Roma and run with it. A few days earlier, through the Ministry of Defence press office, a statement was released about an attack on military cadets by Roma. 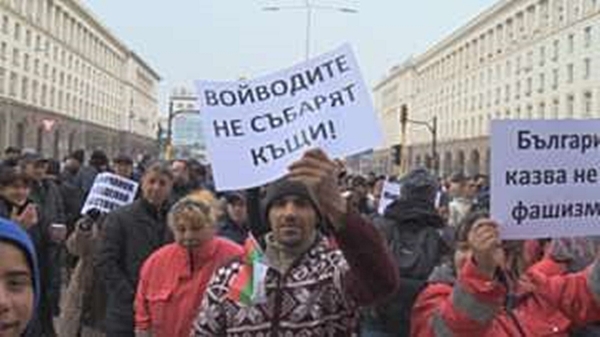 On January 14, hundreds of Roma people protested outside the Cabinet building in Sofia, demanding Karakachanov’s resignation. They held numerous posters, including “Bulgaria says no to fascism” and “Karakachanov, go”. Some commented to the media that the issue was being seized precisely as a political one, to be exploited in an election year. The January 14 protest in Sofia to demand the resignation of Karakachanov. Screenshot via BNT. “Mr Karakachanov has no right to speak like that,” was one comment to the media, referring to his “impudent gypsies” comment. “He is is a minister, how can he insult like that. They (Roma) are Bulgarians”. Also speaking out strongly on the issue was the Organization of the Jews in Bulgaria “Shalom”. In a statement released after a meeting of the organisation’s Consistory on January 13, Shalom said that it was deeply concerned by the public appeals for violence against representatives of the Roma ethnicity after the Voyvodinovo incident. “We state that we stand firmly against the use of hate speech and attempts to instigate racism and xenophobia,” Shalom said. “The Bulgarian Jewish community has always defended the position that every Bulgarian citizen, regardless of his or her religious and ethnic affiliation, is obliged to observe the laws and public order of the country and to bear the corresponding personal responsibility for his actions or inaction,” the statement said. “Therefore, we cannot calmly accept the reaction of part of Bulgarian society, which, referring to the personal misconduct of individuals, puts an entire ethnic group under a common denominator. “In recent months we have witnessed growing ethnic hatred and division across Europe, and unfortunately our country is no exception. This phenomenon raises concern among all Bulgarian citizens for whom European democratic values are a moral compass,” the statement said. With the European Parliament elections coming, the language of hatred could not be allowed to conquer Bulgaria, Shalom said. “We call on the Bulgarian public to remain calm and not to set a dividing line between compatriots on the basis of ethnic, religious or other grounds. “We believe that the national interest in the unity of the Bulgarian people is above all, and we call for a sensible, comprehensive approach that will lead to a sustainable solution in time of the problems that have arisen,” the statement said. A few days earlier, Bulgarian media reported that Corporal Dimov was recuperating well and was due to be discharged from hospital. Healed, he was set for promotion to junior sergeant and a return to active service. In wider Bulgarian society, and in the village of Voyvodinovo, the fracture remains. With eyes on the ballot box in 2019, it is more likely to continue to be politicised than healed.